The only way to remove a tenant in Michigan is by the property owner evicting them through the county court system. If done so any other way, the eviction is determined illegal. If the situation between your roommate remains unresolved, speak with your property owner. Depending on the reasoning, the property owner might agree with the circumstances and start the proceedings for eviction. In some cases, this process can get all tenants evicted, especially if the violation goes against the property owner's contract or lease. 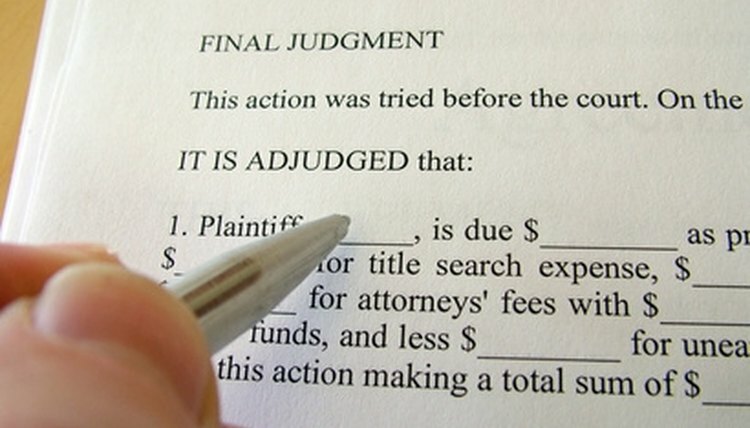 Determine the reason for eviction before contacting your property owner. There are only certain instances that allow the property owner to evict tenants in Michigan. These circumstances include a lack of payment, possible health or hazardous conditions or the tenants desire to vacate the premises early. It is illegal for the property owner to remove the tenants by locking them out or physically moving their things out of the residence. In Michigan, issuing a "Notice to Quit" begins the evicting process between a property owner and the tenant. This legally notifies the tenant that the property owner wants the tenant to pay the amount owed or to leave the premises. A Notice to Quit "health hazard" document will notify that the area needs to be cleaned or that physical damage is being caused and restitution or eviction needs to occur. If the tenant does not offer a solution within seven days of the Notice to Quit, the property owner can issue a "Summons and Complaint" through the court. The tenant will receive this notice through mail or by an official. The outcome of this summons will be determined through a series of court dates. The court will decide whether the tenant needs to leave the premises and how much is due, if applicable. If the court agrees with the property owner, the tenant will then have 10 days to make a payment to the property owner or move. If the tenant must move, an official will overlook the removal process. A sheriff physically coming to the property and asking the tenant to gather their belongings and leave will be the result of the eviction process. Morgan, Sherry. "How to Evict a Roommate in Michigan." , https://legalbeagle.com/6300211-evict-roommate-michigan.html. Accessed 19 April 2019.